This Amazon seller has seen a ton of success through wholesale and bundling products. From a failed experiment selling discount tennis rackets, to $2 million in sales his first year on his own. For Yankie, selling on Amazon went from a hobby to a business pretty fast. He initially started out with a bit of retail arbitrage. A friend turned him onto a deals website where you could buy inventory for cheap and resell it on Amazon at a mark up. His first product? Tennis rackets, something he said he knew little about. It didn’t end up being a huge success, but it started Yankie’s Amazon journey. From there, he went into a venture with a business partner. They were selling electronics wholesale on Amazon. Eventually, that partnership and venture dissolved. Since then, Yankie has been selling on Amazon on his own. Today, he has 300 SKUs. Yankie’s approach to Amazon is data-driven. He uses Jungle Scout, as well as some other software products, to find products, monitor the competition and price appropriately. “This is where you guys come in. I’ll usually track something for a couple days and see what the velocity of the listing is. Chances are, that if someone is selling a couple hundred units of something a month, chances are that people are going to buy multiples of them. Very often, i’ll make a two pack listing and attach it to the one pack, because you already have the velocity,” Yankie said, of his bundling model for some products. 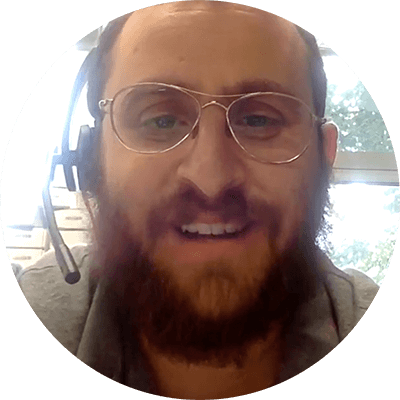 Because Yankie sells wholesale and bundles products, he can’t do everything through Amazon FBA. He has a small warehouse in Arizona to help manage his inventory. He divides his time between Arizona and New York. For Yankie, he’s looking to master everything Amazon and go category by category to find the best opportunities out there. He’s also looking to dive into the private label business and find even more success. This Amazon seller is genuinely enthralled with the path he chose. He says, he “never takes a break” purely because he loves what he does. Initially, Yankie started selling wholesale with a line of consumer electronics from just one vendor. He said this move caused some heartache for his business. Don’t sell what you want to sell, even if it’s cooler to say you sell drones than a basic kitchen item. If people are buying it and there’s a good opportunity, don’t worry about what the product is. Yankie advises taking a real interest in the industry and educating yourself as much as you can. Watch webinars and find out what to avoid when you’re getting started.